Hotel Sarang Palace i Jaipur, Indien: Reservér nu! 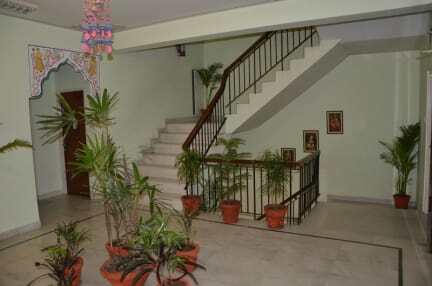 Located in the heart of Jaipur, Hotel sarang palace is a family managed hotel aiming to provide quality accommodation. Our focus: Location, Hygiene, Security and Best price. Voted as best run independent hotel, Sarang Palace is one of the most popular 3 star hotels In Jaipur. Hotel is known for its Prime location. just 1 kilometers from bus stand, railway station, and M.I road. Relax yourself in our 31 Luxurious A/c spacious rooms and suites equipped with all modern facilities. Each room is has unique Rajasthani theme and color. Hotel offers free internet and wifi in the hotel .Hotel also offer free pickup from bus and train. 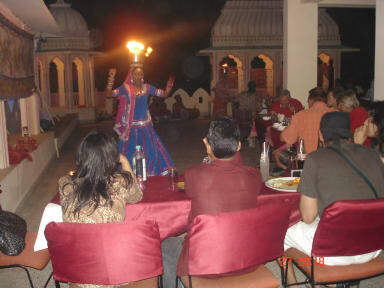 Sarang Palace also offers mouth watering delicacies at our multicuisine restaurant ,‘’Pakwaan’. Hotel Sarang Palace is located very near to famous mega Shopping malls such as Triton mall and on a walking distance from chandpole Bazzaar. Famous tourist attractions such as City palace, Hawamahal and Jantarmantar are 10 minutes drive away .Hotel is just on a drive of 10 Minutes from night life areas like steams or from B2B night club. Sarang Palace has fully equipped conference hall, meeting hall .Hotel offers car rental facilities at reasonable prices. - Fully Air-conditioned Suites and Deluxe rooms with styled washrooms. - Roof Top Bar-be-cue where the Cultural evenings, Folk songs, Dances & Puppet shows Ghazals can be enjoyed with candle lit dinner.